Whilst I love clothes, I’ve never been REALLY into high fashion. Don’t get me wrong, I am interested in fashion and trends of course, and I think it’s really important to keep your wardrobe up to date. But I also think that you should update your wardrobe only with things that suit YOU - that suit your personality, your lifestyle, your body and your wallet. I’m glad to see Oscar agrees with me - although I suspect he is slightly more into high fashion than I am! I am however into style and helping people understand what style means to them personally. Once you understand that, it makes it easy to pick and choose the fashions and trends that suit you. 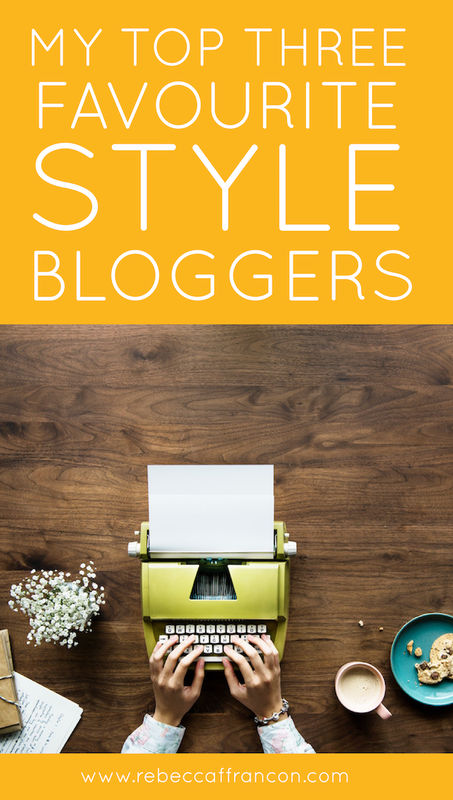 So I thought I’d share with you three wonderful bloggers who blog about style and help to translate fashion. These are highly informative and entertaining blogs that made me look at things very differently. And whilst I also have a lot of time for watching people unbox their Zara hauls (truly, I could watch those for days! ), these blogs have taught me so much more! Even if you’re under 40, you still need to learn from these fabulous ladies. I discovered Imogen Lamport’s blog (which is now 10 years old) around 4 years ago, when my little boy was a baby. This blog is incredible and full of amazingly detailed posts about all things style and colour. You could honestly keep reading for days and days as there is so much content - it’s brilliant. I read and loved it so much, I decided to train with Imogen as I had learnt so much just from reading the blog and doing her online courses… you can imagine how amazing the training was. Imogen co-developed the Absolute Colour System and that is the colour system I was trained in and use. I met Imogen IN PERSON for the colour training - it was quite a celebrity moment for me. But then we spent nearly a week together and it turns out we have the same personality type, so we had plenty in common. If you want to find out more about your style personality, check out her latest project - 16 STYLE TYPES. I just noticed that she has used the same Oscar de la Renta quote - I swear that is a total coincidence, I told you we had a lot in common! Brenda Kinsel is another style hero of mine and has been a world-leading image consultant since the 1980s. She is super smart and super funny too. It is my dream to go shopping with Brenda so she can introduce me to shopping in the States! I have most of her books and re-read them regularly. I highly recommend following her blog and adding at least one of her books to your bookshelf if you want to learn more about your own style. And finally, British blogger, Nikki Garnett, is a fabulous writer (and former editor of Selfridges magazine). Her blog brings a very current and British viewpoint to my triumvirate of style blogging heroes. She has an amazing ability to translate fashion and trends - and make sense of all the fashiony stuff. Start with this post if you want to find out more about her interpretation of Autumn 2018 key wearable trends - trust me, you’ll start to look at things very differently! I hope you like these blogs as much as I do - I’m sure you’ll get lost for days in all their content! But I’ll see you here again in a week… okay? Oh and it’s a lol you’re after, then I highly recommend following Fashion Critical on Facebook for all your red carpet commentary. My top three favourite style bloggers.